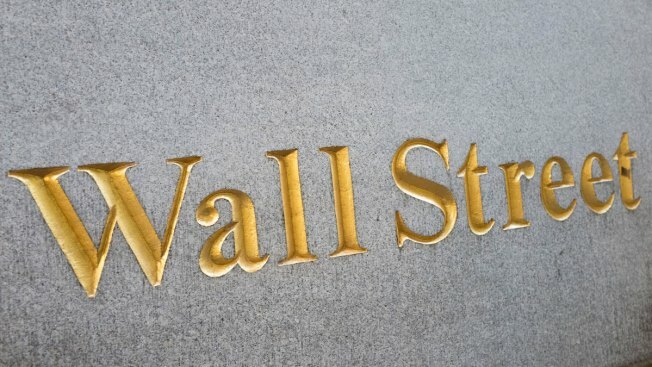 FILE - In this Oct. 7, 2016 file photo, a sign for Wall Street is carved into a building located near the New York Stock Exchange. On the first trading day of April, which is also the first trading day of the second quarter, stocks are tanking thanks to a combination of anxiety about a trade war, and fears about the tech industry getting hit with regulation, CNBC reported. The Dow Jones industrial average plunged 596 points, with Intel as the worst-performing stock in the index. The 30-stock index also touched a new low for the year on Monday, falling below the low touched during the slide in February. The S&P 500 dropped 2.6 percent and entered correction territory, with tech falling 2.7 percent. The index also dropped below its 200-day moving average, a key technical level. The Nasdaq composite dropped nearly 3 percent — also entering correction — as Amazon declined 5.4 percent. "The market leaders are under pressure," said Marc Chaikin, CEO of Chaikin Analytics. "It's a situation where the proven winners for the past few years are faltering." When that happens, "there is a negative psychological sense in the market."